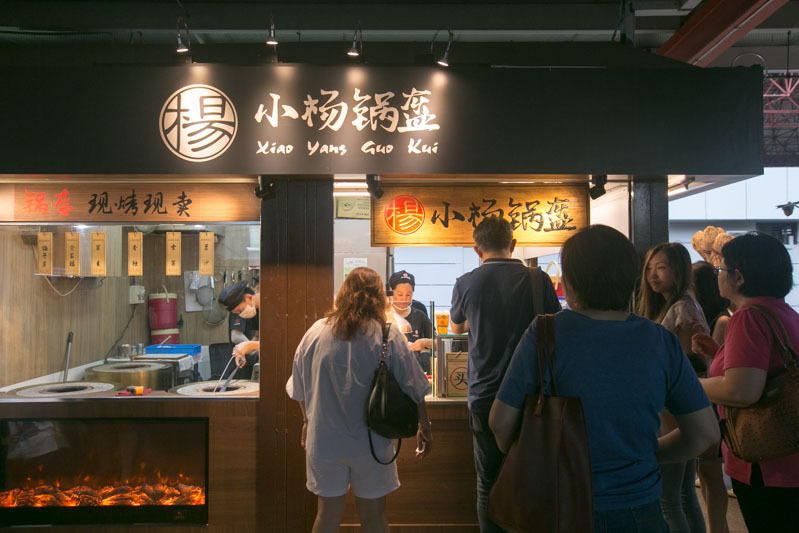 Local fare from China is on the rise in Singapore and the wildly popular Xiao Yang Guo Kui (小杨锅盔) is the latest chain from China to arrive on our sunny shores. Having opened earlier this month in Jurong East Interchange and Choa Chu Kang MRT Station, this definitely caters to those who are constantly on-the-go. 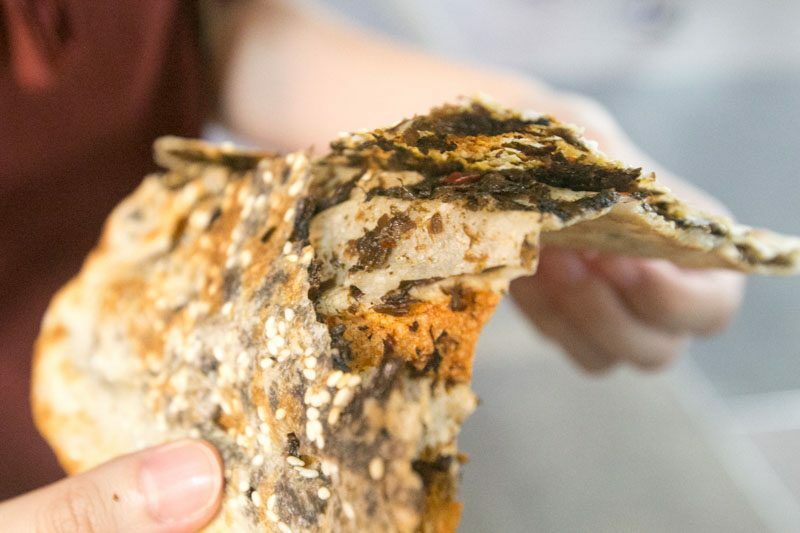 When you get to the kiosk, it’s no surprise that there is already a queue for this delicious Chinese bing. Here at Xiang Yang Guo Kui, you can find three variations of guo kui each stuffed with different types with pickled vegetables. You have Chongqing (梅干菜) (S$2.50), Shanghai (全家福) (S$3), Sichuan (香辣) (S$2.80). 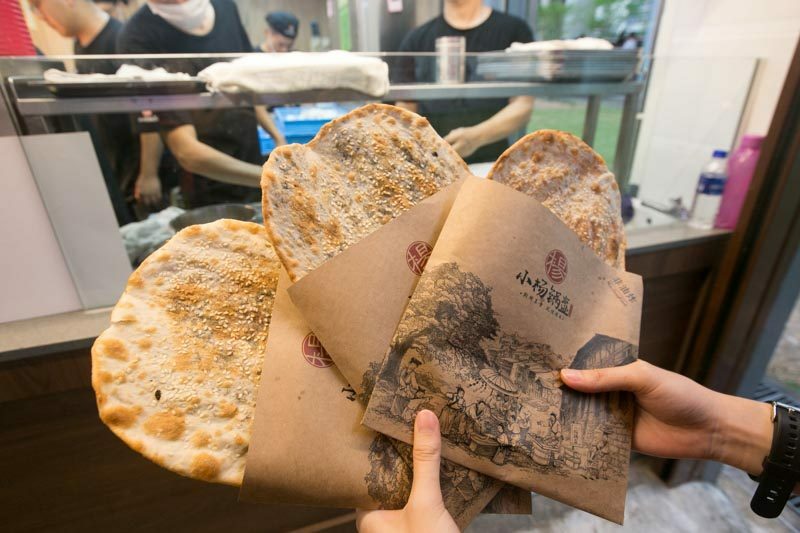 For those wondering what exactly is a guo kui, let me tell about this crispy, Chinese flatbread that has now officially become my new favourite snack. Hailing from Hubei, China, the guo kui has a history that dates back 1,000 years. An ingenious and famished young man named Dong Hwa decided to pour some flour into his headpiece and cook it over a fire. Just like that, the guo kui was born. 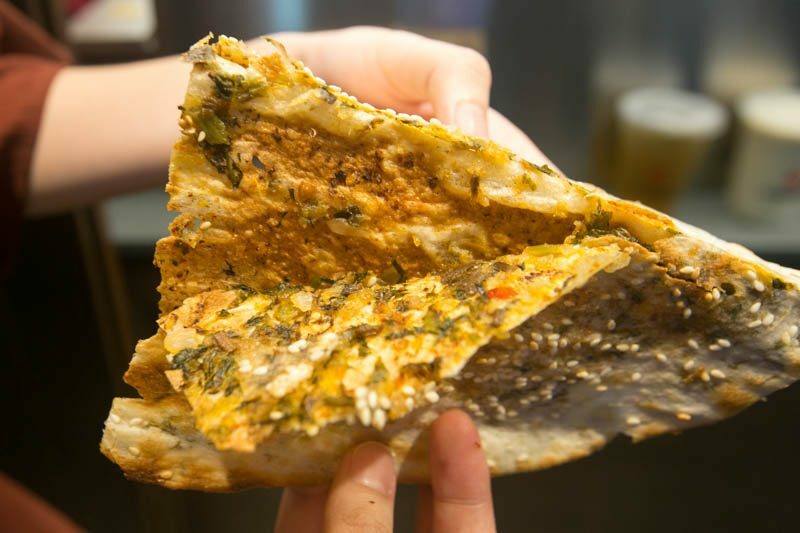 Over the years, the guo kui evolved from army provision into the popular street snack. 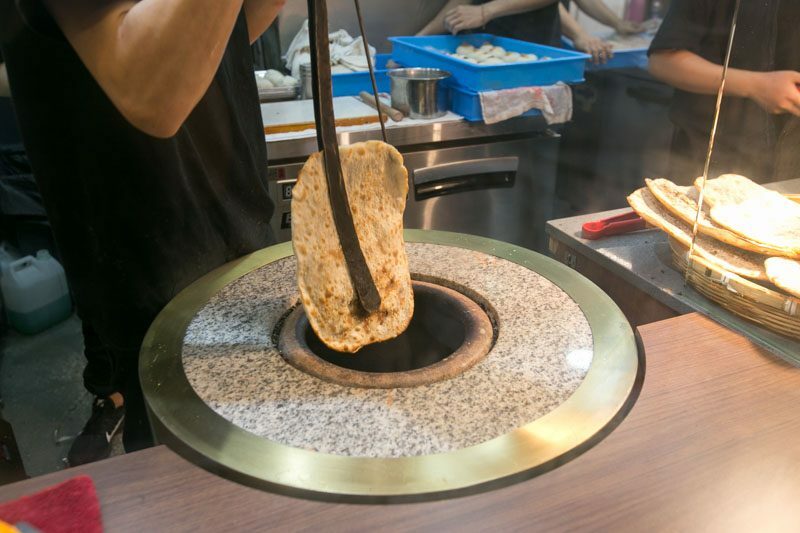 These guo kuis are not only made-to-order but are baked in a huge charcoal cylindrical clay ovens. 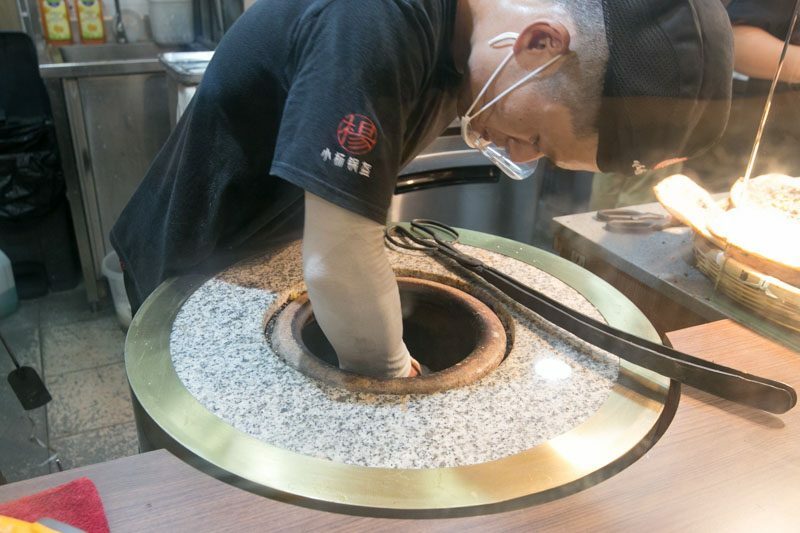 You can watch the experienced bakers deftly shape the knobs of hand-kneaded dough into a circular disc before being attached to the heated surface. These babies are crispy and golden brown when they are retrieved from the oven. I’ve tried all three flavours and I’ve got to say the Chongqing has to be my favourite. The pickled vegetables deliver a slightly salty but savoury note to the dough. Light but dangerously addictive, I gobbled mine up in no time. If you are craving for something with a spicy kick, the Sichuan is a fiery start to your day. 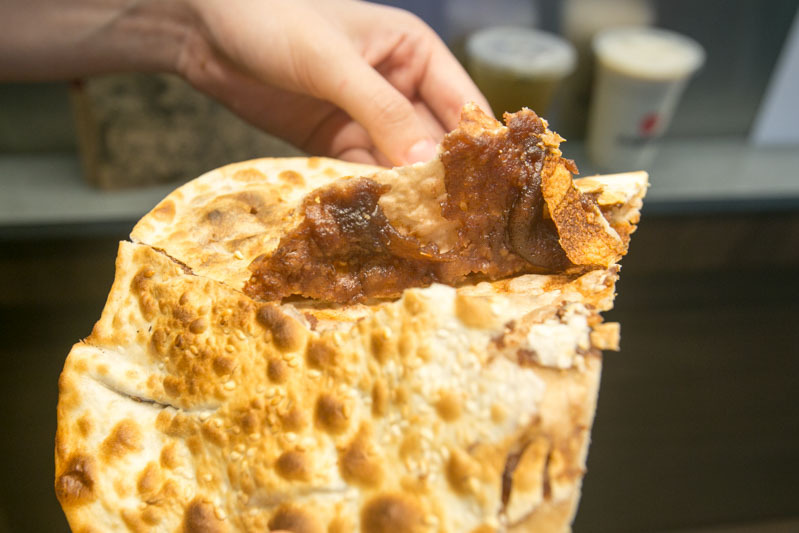 For those with a sweet tooth, there is the Shandong (豆沙) (S$2.20) which is chock-full of red bean paste. A scrumptious and simple dessert after a long tiring day. From one foodie to another, be sure to enjoy these guo kuis straight away while they are still piping hot. My only gripe is that Xiao Yang Guo Kui outlets are currently only located in the West. A little inaccessible for an Eastie like me, but for this guo kuis the journey is absolutely worth it.